Hand appliqued and machine pieced by Jerrianne in 2001. Machine quilted by Denise Green of HollyDee Quilts in 2002. 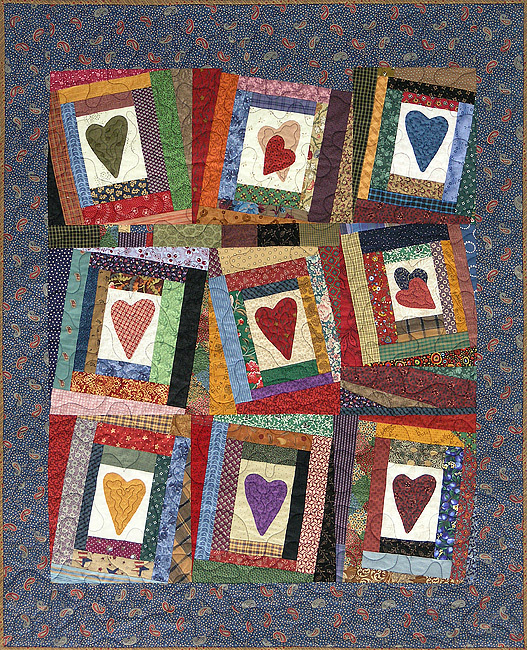 Adapted from "Lopsided Logs" in Folk Art Quilts by Sandy Bonsib.